The highly skilled doctors and nurses at Mainline Health Systems provide compassionate care in six well-equipped offices in Dermott, Eudora, Portland, Monticello, Wilmot, and Star City, Arkansas as well as eight school based clinics located within the Dermott, Hamburg, Lakeside and Star City School districts. Dr. Joseph Drumm is the Clinical Director and Psychiatrist for Mainline Health Systems, Inc. He received his bachelor's degree in health science at Southern Adventist University in Tennessee. He received his doctorate degree (DO) from Lincoln Memorial University-DeBusk College of Osteopathic Medicine before joining the psychiatry residency program at the University of Texas Health Service Center in San Antonio. After graduating, he moved to Arkansas and joined the Mainline team. He is currently accepting new patients at Mainline's Dermott and Monticello clinic locations. Amy Floyd, LCSW graduated with her Masters in Social Work in 2002. Her interests are trauma focused interventions, grief and loss, and holistic treatment approaches. Amy has been in the social work field for over 18 years. She is married and has three children. She enjoys church, singing and playing music, and fishing. Amy joined the Mainline team in July of 2016. 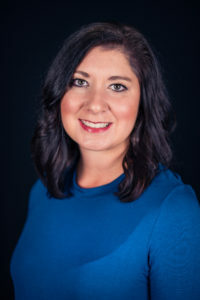 April Glasscock, APRN graduated with her Bachelor of Science in Nursing from the University of Arkansas at Monticello in 2006. She received her Masters of Nursing Science degree from the University of Arkansas for Medical Sciences in 2016. April has years of experience in Psychiatry and currently serves as the Psychiatric Nurse Practitioner for Mainline. April joined the Mainline team in May of 2017. Lisa Kilcrease, LCSW, graduated with a Masters in Social Work in 2006, obtaining LCSW in 2009, from the University of Arkansas at Little Rock. Experience in the field began in Children and Family Services, training DCFS caseworkers, mental health case management, and out-patient mental health school based services as a Mental Health Professional, prior to director and management positions. Lisa has been serving southeast Arkansas through the social work profession for 16 years. She is involved with Shady Grove Baptist Church, and has had a long time passion for horses and the sport of barrel-racing, which she continues to compete in. Lisa joined Mainline in October, 2017. Rebekah Ayecock, APRN, is a Board Certified Psychiatric Mental Health Nurse Practitioner. 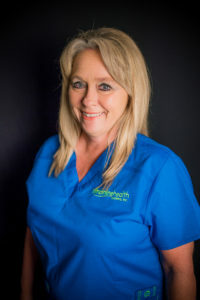 She graduated from the University of Arkansas at Monticello with a Bachelor of Science in Nursing, and worked as a Registered Nurse (RN) for 7 years. During her time as an RN, Rebekah worked for an outpatient mental health clinic and a school-based mental health clinic in Southeast AR, where she had the privilege of serving individuals and families across the lifespan. 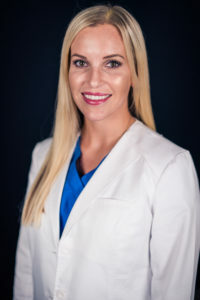 Rebekah obtained her Masters of Nursing Science degree in 2018 from the University of Arkansas for Medical Sciences. She is very passionate about mental health and enjoys helping her patients. In her free time, she enjoys art, music and spending time with family and friends. Rebekah is a native of Monticello and joined the Mainline Health Team in August of 2018. Jennifer Cotton, LCSW graduated with her Masters in Social Work from the University of AR at Little Rock in 2008. She has advanced training in trauma focused interventions, including trauma focused cognitive behavioral therapy. She has been serving individuals and families in the behavioral health field in the Southeast AR area for over 15 years. Jennifer is married and has two children, and enjoys traveling and spending time with her family.